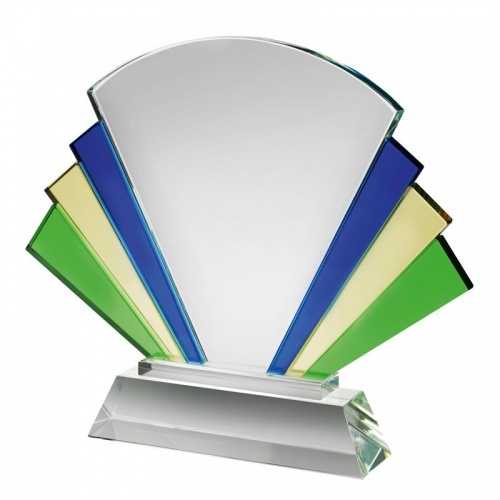 These striking modern crystal awards will bring a touch of colour to your awards presentation or ceremony. They feature a fan shape design crafted in clear glass with decorative coloured glass panels in blue, yellow and green glass. These 8in tall multicolour awards can be engraved on both the clear glass body and/or the clear glass base. 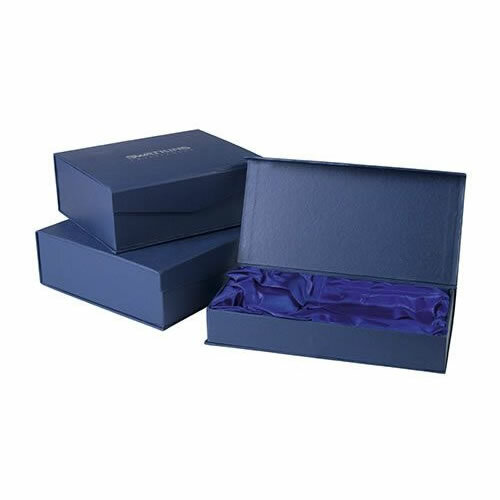 These awards are supplied in an attractive foam-lined blue presentation box.